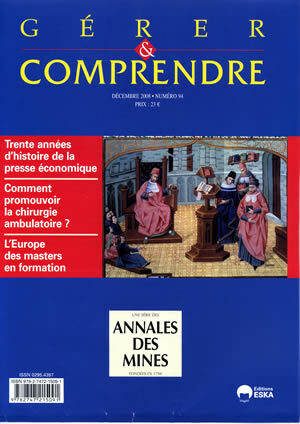 The French press specialized in the economy is fragile, having often experienced upheaval over the past thirty years. Its landscape has been remodeled several times, as periodicals have appeared, disappeared, merged… and as shareholders (sometimes the same ones) have bought in or sold out in a relatively short time, or as radical shifts have occurred in business models, especially during recent years with the Internet’s explosive growth. Based on interviews with a key player in this field, this article places in perspective the managerial issues with which the heads of firms specialized in the press must cope.